We’ve often heard about a LeBron football crossover but never a hockey one. 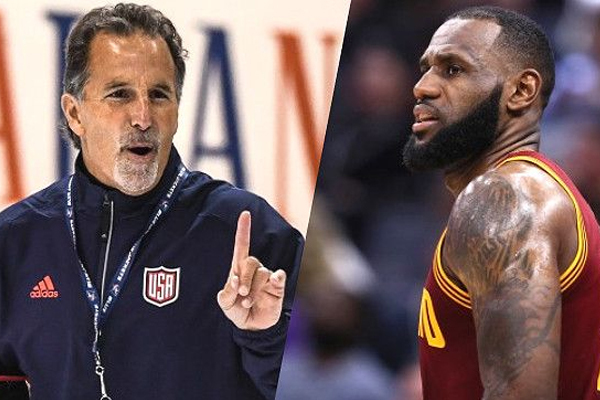 It finally came up yesterday when Blue Jackets coach John Tortorella snuffed out the notion that James could make a crossover to the NHL during talk radio. “Not a chance,” Tortorella told 92.3 The Fan in Cleveland. CBS Cleveland’s Keith Britton said Tortorella seemed to be having fun with the question so it will be interesting to see if LeBron responds. Will he take Tortorella up on the challenge? Could LeBron actually play hockey?